If Booster Gold travleled forward in time eight years and then traveled back seven years, how many years forward is he now? On this date in 1863, Abraham Lincoln delivered one of the most famous speeches in American history. 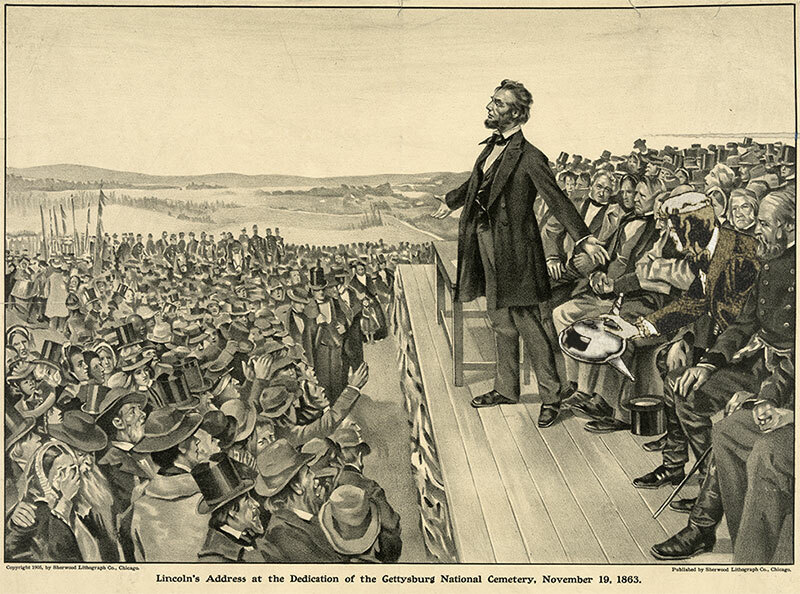 Despite its fame, many elements of what transpired that day at the dedication of the Gettysburg National Cemetery — including the exact text of the speech itself — remain unclear to even the most dedicated historical researcher. To know the truth, you would have had to have been there. Be sure to dress for the occasion. 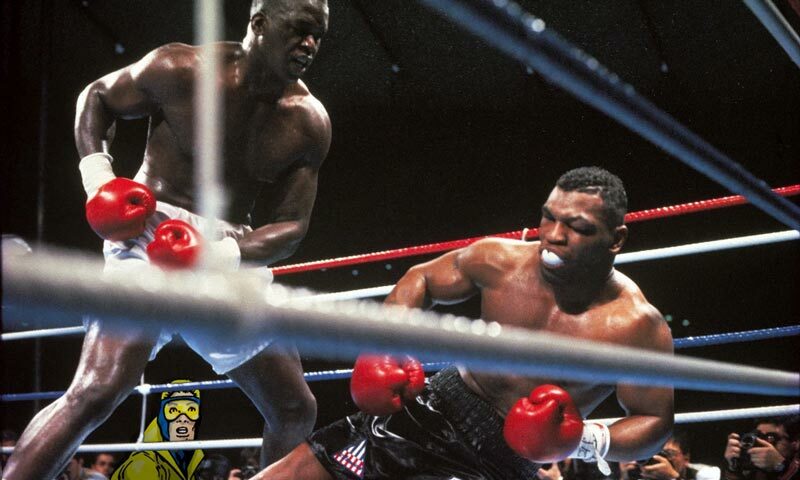 If you had nine dollars and then spent seven dollars on Booster Gold comics, how many dollars do you have left? In 1962, a console television sold for around $600, which is the equivalent of $5,000 in 2018 dollars. But even if you could afford such a luxury, you might not have enjoyed what you were seeing. 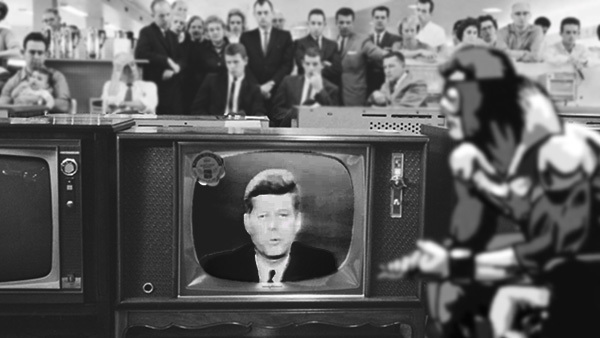 On this date in 1962, President John Kennedy interrupted your regularly scheduled news broadcast to announce the United States was on the brink of war. "This Government, as promised, has maintained the closest surveillance of the Soviet military buildup on the island of Cuba. Within the past week, unmistakable evidence has established the fact that a series of offensive missile sites is now in preparation on that imprisoned island. The purpose of these bases can be none other than to provide a nuclear strike capability against the Western Hemisphere." Things got worse before they got better, and the United States and the Soviet Union avoided nuclear war only by the narrowest of margins. You might think that historians and politicians alike would learn key lessons from such brinksmanship, but recent events — from Russia invading its neighbors to America withdrawing from nuclear limitation treaties — would indicate otherwise. As the saying goes, those who cannot remember the past are condemned to repeat it. It's common to hear talk in the modern American news media about how our country is currently a nation divided. While it is true that some people like Coke and other people like Pepsi, most of us still believe in democracy, free speech, and Dwayne Johnson movies. To see what a truly divided country looks like, turn back the clock to 1961. In the aftermath of World War II, Berlin was split between the eastern and western powers. It didn't take long for the citizens of the Communist east to express their preference for the more permissive west. 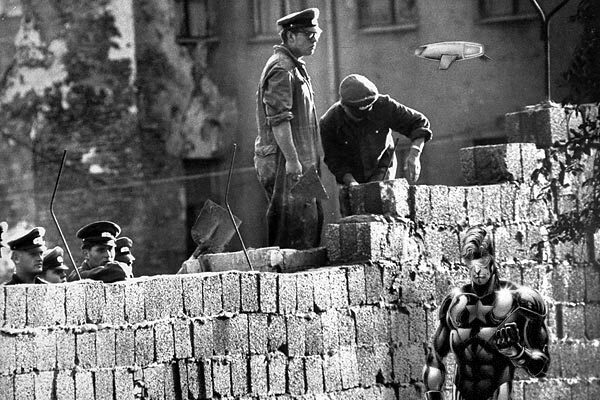 The East German government decided that the best way to maintain their way of life was to build a wall. Not to keep people out, but to keep them in. On this day 57 years ago, the Berlin Wall went up, separating families, friends, and neighbors overnight. The wall would stand as a physical embodiment of the Cold War until 1990. Through traces remain, there are few intact remnants left that give a true impression of living through this tragedy. If you want to feel what it's like to live in a real nation divided, you'd have to be a time traveler. Or read the editorial columns in your morning newspaper. Music fans are always talking about concerts they attended. Some were had-to-be-there events, like Woodstock, Altamont, or the US Festivals. 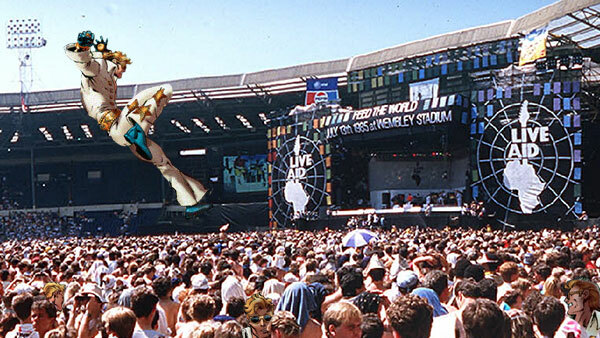 And, of course, Live Aid, a concert so large, it took two continents to hold it. Live Aid, held 33 years ago today, was a mega-concert designed by Bob Geldorf to raise money for famine relief in Ethiopia. The internationally televised event began in London's Wembley Stadium with acts by Phil Collins, Sting, U2, David Bowie, The Who, and Queen. It continued in Philadelphia's John F. Kennedy Stadium with acts by Run-DMC, Tom Petty, Madonna, Led Zeppelin, and Phil Collins (who flew across the Atlantic Ocean on the Concorde just to appear in both venues). What music lover would want to miss that? You wouldn't have to if you were a time-traveling audiophile. In fact, you could attend this once-in-a-lifetime convert as many times as you liked.